Mr. Hassib Sabbagh was one of the most multi-faceted businessmen in the Middle East. A strategic thinker, an extraordinary visionary, a pioneer and an innovator in business, he was, also, a philanthropist, a humanitarian, a successful builder of infrastructure and bridges and a builder of peace and reconciliation throughout the world, behind closed doors. Hassib is one of my earliest and strongest allies in pursuing peace in the Middle East”, said once the Honorable Jimmy Carter, the 39th President of the United States of America. 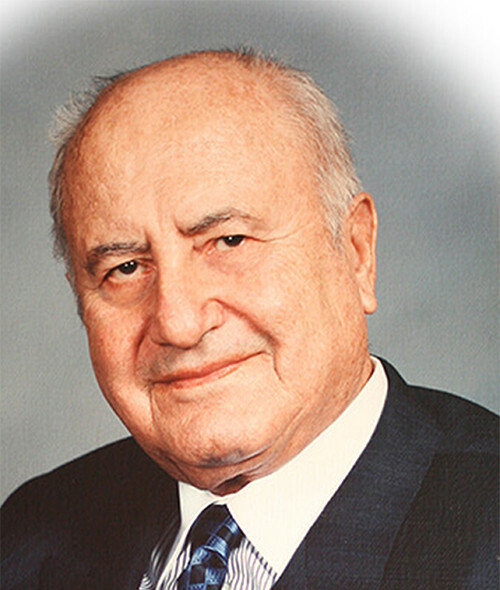 Hassib Sabbagh transformed his life from a Palestinian refugee to a unique and prominent citizen of the world. Born in Palestine, Hassib Sabbagh graduated from the American University of Beirut with a bachelor in Civil Engineering in 1941. After the Nakba of 1948, he established his base in Lebanon where, in 1950, he founded the Consolidated Contractors Company (CCC). He was the chairman of CCC until 2005; his partners were Kamel Abdel Rahman and Said Khoury. Today CCC, his foremost professional achievement, is a major construction company. As a philanthropist, Mr. Sabbagh made significant contributions to Medical Sciences, Health Care and Education throughout the world. Among the institutions which he endowed are: the American University of Beirut, the Middle East Medical Association (MEMA), Harvard University, Harvard Medical School, the Baker Institute for Public Policy at Rice University, the Vatican, the Cleveland Clinic Foundation, the Massachusetts General Hospital in Boston, the American Enterprise Institute in Washington DC, the Brookings Institute, the Council on Foreign Relations in New York, Eureka College and Webber College in Florida. Mr. Sabbagh was the co-founder of the Welfare Association in Geneva and various charities in Lebanon, Jordan, and the West Bank. In 1993, he founded The Center for Muslim–Christian Understanding at Georgetown University, Washington DC. He considered promoting understanding between Christians and Muslims as his legacy to the world. “Hassib Sabbagh left an indelible mark on everything he has touched in his life. He has done that against immense odds”, said the Honorable James Baker, the 61st American Secretary of State. He believed in forgiveness and never to turn down someone in need. He always did what he said he would do and was always ready to help. He was known for his integrity, his generosity, and his humility. The title of the biography tribute, Hassib Sabbagh: From Palestinian Refugee to Citizen of the World captures the essence of the man. In July 2002, Mr. Sabbagh suffered a stroke, which resulted in the interruption of his professional and political activities. He passed away in 2010."